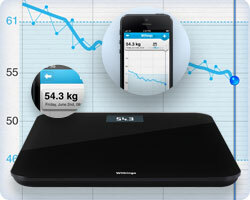 Withings Bundle Of Pulse Ox & WS-30 Wireless Weight Scale Sleep & Health Tracker. Note: Images and Videos are only for illustration purposes. Mobile Not Included. Available in Black Colour. Your weight. Your BMI. Instantly. Essential data - Measures your weight and Body Mass Index (ratio between your weight and height). Precise accuracy - Withings Position Control, a patented technology, warns you if you are leaning too much. Track trends and take care of yourself. Set your goals. Realize your ambitions - The free Withings Health Mate app displays your data into graphs. Use it as your own coach. Compatible with your favorite app - You can share your data with more than 100 health and fitness apps (Runkeeper, MyFitnessPal, Endomondo, LoseIt!). Set up in seconds. See the benefits for life. 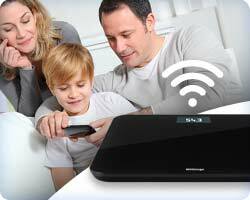 Bluetooth and Wi-Fi connectivity - Automatic upload on your Health Mate iOS app after each weigh-in (Android app - black version only). PC Free setup - Wireless Scale paired using Bluetooth and sharing connectivity in one tap. Battery life - Don't worry about the small stuff, focus on your fitness and health. The scale lasts 1 year on 4 AAA batteries. 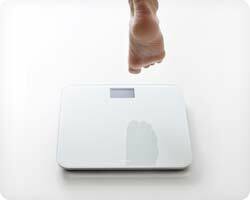 Automatic recognition - The Wireless scale recognizes up to eight people. Sharing options - Choose to keep your readings private, send them to your doctor via email, or share your results via social media (Facebook and Twitter). Pulse Ox adapts to your style. During the day time you can wear it on your wrist with the included adjustable wristband, attach it to your belt or apparel using the clip or drop it in your pocket or bag and it will still track your activity. At night time, Pulse Ox can monitor your sleep patterns by using the wristband. Pulse Ox will track your movements throughout the day, whether you're out for a morning run, strolling around the office, or hiking up mountains. It captures steps taken, calories burned, elevation climbed and distance travelled to give you a full impression of how much activity you have taken part in. Pulse Ox makes it easy to access data when you're running too. You don't have to sync to your device- you can just press the button to see the data you need: duration and distance travelled. Pulse Ox also works as a tiny heart rate and blood oxygen level monitor. It uses 4 LEDs on the back of the device to measure your heart rate and blood oxygen level, giving you a quick view of your health status whenever you need it- all you need to do is press your finger to it. Measuring your heart rate regularly will help you look for trends- lowering it over time means that you are improving your fitness level and strengthening your heart. Monitoring your blood oxygen level is a way of assessing the overall efficiency of your respiratory function and can help mountain climbers and athletes training in high altitude guard against hypoxia. Analyse your sleep cycle by putting Pulse Ox in the wristband. While you sleep, Pulse Ox and the Withings app will then analyse your sleeping patterns and list key sleep quality indicators, letting you asses your sleep the next morning in order to have more restorative nights. The in-app graph shows the different sleep cycles and lists key sleep quality indicators. Pulse Ox automatically syncs wirelessly with your iOS or Android device throughout the day using Bluetooth and a wireless internet connection to transmit the data to your free Withing's account. Data is then put into perspective in easy to understand graphs and made available in the dedicated web and mobile apps. The Withings Health Mate app turns numbers into easy to read graphs that show trends and showcase your day-to-day progress to help you better understand how your lifestyle impacts your health. You can compete with family and friends and experience real-time personalised coaching and smart reminders to help you adopt healthy habits. Challenge yourself to exercise more each day, using Pulse Ox to keep track of your progress. You can even swipe across the screen to see if you've beaten your personal best from the last 10 days, giving your instant insights into your progress. There are a variety of apps for Android and iOS that are compatible with Withings devices, such as MyFitnessPal (which can log your meals and work with Withings' Health Mate App to compare calorie intake to calories burned), RunKeeper and MapMyFitness, so you can use the app that best suits you.